Legacy Rodent Control offers experienced opossum removal in the Dallas-Fort Worth area. Our certified and licensed professionals are trained to get the job done right the first time and prevent critters from returning to your home or business. Opossums are scavengers, and they appreciate a reliable food source and a nice place to sleep. While you can’t exactly blame them, you don’t want them to sleep at your house. 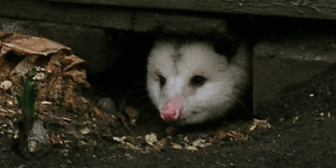 Opossums have the ability to destroy your attic and other property, and they also carry diseases that threaten and impact the health of humans and pets, which is why experienced and trusted opossum removal services are crucial. If you see evidence of an opossum infestation, call Legacy Rodent Control for a removal consultation. During the consultation, we will assess your property to identify points of entry and create a plan to handle damage to your property. We will also discuss your options for attic decontamination. You cannot remove an opossum on your own, despite what you may have heard. You may also expose yourself to disease causing bacteria in the process. When it comes to expert opossum control in Dallas-Fort Worth, leave it to the professionals at Legacy Rodent Control to rid you of your opossum problem. When opossums infest your attic, they typically do not cause as much damage as rats and other rodents. However, opossums do bring along a host of other problems by spreading disease through their feces. They also bring along fleas, which infest your family pet and bite humans. Legacy Rodent Control is well versed in the humane removal of opossums, and is also equipped to treat flea infestations that are left behind. Like many unwanted pests, opossums seeking shelter during the winter. Don’t let them make your home their shelter this winter. Consult with Legacy Rodent Control on tips to prevent opossum infestation. Opossums carry diseases that impact the health of your home and family. Calling Legacy Rodent Control will begin the process to protect your home and health. Legacy Rodent Control will also treat your home for secondary infestations like fleas and parasites known to travel on opossums. • Opossums have litters of up to 13 babies. • Opossums are active at night. • Opossums are solitary creatures. 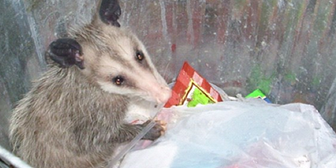 • Opossums are opportunistic and look for food sources in trash cans, trash bags, and pet food dishes.